CRANBROOK, B.C. 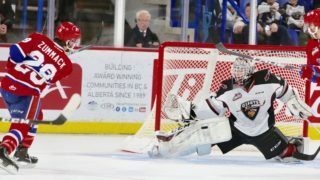 – The Spokane Chiefs outshot the Kootenay ICE 42-36 on Friday night in Cranbrook but struggled on the penalty kill, losing 3-2. 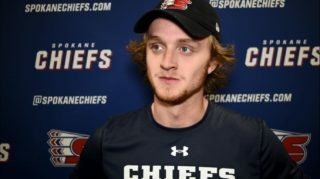 Jaret Anderson-Dolan and Eli Zummack scored the goals for the Chiefs, who dropped to 20-21-6-2 on the season. Anderson-Dolan opened the scoring just under five minutes into regulation with his 23rd goal of the season, sniping a wrist shot from the right circle over the left shoulder of Kootenay goaltender Jakob Walter. Kailer Yamamoto, in his last game before departing for the 2017 CHL/NHL Top Prospects Game in Quebec, joined Hudson Elynuik with the assists. Kootenay bounced back with a power play goal of their own early in the second period as Brett Davis found the back of the net for the 11th time this season. Then, early in the third period, Vince Loschiavo gave the ICE their first lead of the game, beating goalie Jayden Sittler off an assist from Davis for his 16th of the season. 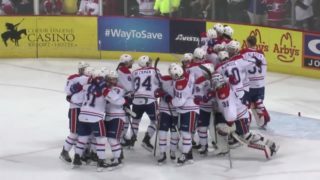 Spokane tied the game just over two minutes later, at the 4:04 mark, as Eli Zummack punched in his fourth goal in six games. It wasn’t to be, however, for the Chiefs as Kootenay found the twine for their second power play goal of the evening at the 8:28 mark of the third. Colton Kroeker scored the winner for his third point of the night after assisting on his team’s first two goals, this time getting help from team captain Cale Fleury and Austin Wellsby. 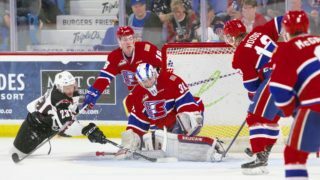 Spokane finished the game 0-for-3 on the power play – although Anderson-Dolan’s score happened just after returning to even strength – and only 1-for-3 on the penalty kill. The Chiefs remain on the road on Saturday night for a televised contest against the Tri-City Americans. Tune in at 7 p.m. on SWX (Comcast channel 112 or over-the-air channel 6.2) for the broadcast. Mike Boyle will have the radio call on 790 KJRB-AM as well as 1510kga.com. 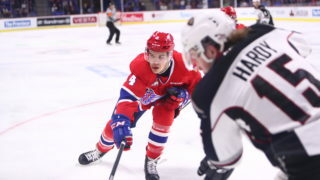 Spokane’s next two home games are on Friday, February 3 and Saturday, February 4. Friday will be Shriners Hospitals For Children Spokane Growth Chart Giveaway Night and Saturday will be Coca-Cola Replica Locker Giveaway Night. 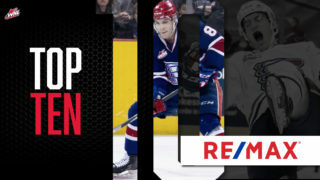 Tickets for both games are available in-person at the Chiefs’ Ticket Office, over the phone at 509-535-PUCK and online at ticketswest.com or spokanechiefs.com.